Drunk driving is charged as a crime; not a traffic violation. From our experience, first offenders finding themselves in this position rarely fit the mold of someone that you would expect to get into trouble with the law. On the contrary, most clients that we see charged under Michigan’s drunk driving laws are victims of unexpected circumstances that they never anticipated. In many cases, they lack a recent experience or episode with alcohol consumption and underestimate its effects. Will I lose my license if I am convicted of a drunk driving? Can the police obtain a search warrant and force me to take a blood test if I refuse the breath test? 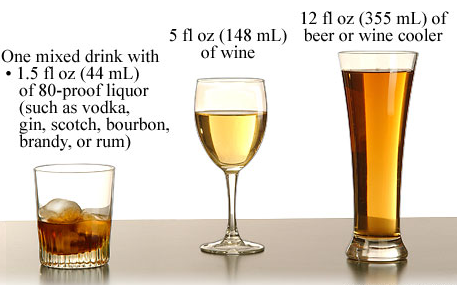 How long does it take for alcohol to be eliminated from my body after consumption? What will happen to my right to obtain or maintain my Concealed Pistol License (CPL)? Can I cross the border into Canada if I am convicted of a DUI? Can a drunk driving case ever be dismissed? What is a deviation request? Can I still drive on a temporary license and when will I get my picture license back? Can I be charged with DUI-marijuana? Do police like making DUI arrests? See Link: How do I find information about Sobriety Court? Can a drunk driving offense ever get expunged? Although I have not officially counted, there are more laws, ordinances and administrative rules on the books for drunk driving than exist for murder, kidnapping and armed robbery combined! The court process is foreign and frightening to most individuals that are charged with a drunk driving offense. I have written this article to provide updated information on the topic of drunk driving, provide answers to frequent questions and dispel any myths or rumors that may haunt individuals in this predicament. I have no doubt that those seeking information regarding drunk driving ranks consistently high as a popular topic considering that recent information compiled by the Michigan State Police in its annual drunk driving audit indicates that Macomb County and Oakland County made approximately 6700 combined drunk driving arrests in 2015! 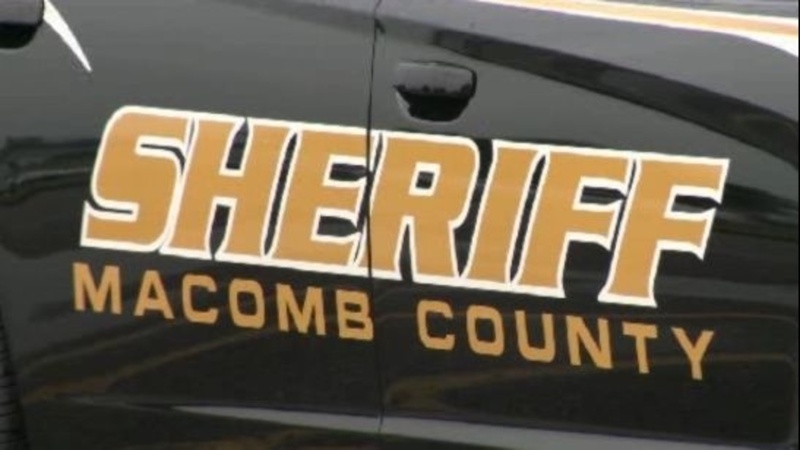 Arrests by the Macomb Sheriff Department (217), Shelby Township Police (162), Sterling Heights Police (164) and Warren Police (190), top the list for DUI arrests made by Macomb County police agencies. (MSP 2015 drunk driving audit). What do the abbreviations mean for OWI, DUI, OUIL, OWVI, OUID, OWPD, OWI High BAC? I would like to reduce some of the confusion that exists regarding the use of abbreviations in relation to drunk driving offenses in the legal system.Over the years, drunk driving laws have evolved but some of the old abbreviations have survived and are still widely used to refer to a drunk driving offense. OWI=Operating while intoxicated: This offense covers charges when a person has a blood alcohol content of .08% or greater which is abbreviated as OWI. The abbreviations of DUI and OUIL mean the same thing as an OWI but are from a generation of prior drunk driving laws. OWVI=Operating while visibly impaired: This is the offense which is a lower charge than OWI . OWI is often reduced to OWVI in the court system. OWPD=Operating with the presence of a Schedule 1 controlled substance: As determined by a blood test. OUID=Operating under the influence of drugs: Includes situations where someone is affected by the use of prescription medications. OWI with High BAC=Operating with a high blood alcohol content: This is also referred to as a “super drunk driving” and is charged when a person has a blood alcohol content of .17% or more. OWI with high BAC carries much higher criminal and driving penalties than OWI or OWVI. Most county prosecutors have a policy and do not reduce OWI with a high BAC without policy deviation granted. Why did the police destroy my driver’s license? Can I still drive with a temporary license? When will I get my picture license back? MCL 257.625g: On behalf of the secretary of state, immediately confiscate the person’s license or permit to operate a motor vehicle and, if the person is otherwise eligible for a license or permit, issue a temporary license or permit to the person. 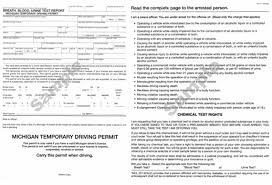 The temporary license or permit shall be on a form provided by the secretary of state. Once officially arrested for a drunk driving offense, the police will destroy the plastic driver’s license and issue a Michigan Temporary Driving Permit as seen above. This permit will be provided to the offender upon release from jail along with a baggie containing the following: breath-test result, ticket or other notification, bond receipt and towing receipt. This Michigan Temporary Driving Permit will enable the person to continue to operate a vehicle without any restrictions. Any license restrictions or suspension will not be triggered by the Secretary of State until there is a finding of guilt for a drinking and driving offense (or other offense as listed below). Upon conviction or finding of guilt, the Secretary of State will issue license action by mail to the last address of the offender. The aggrieved party may obtain a new picture license after all of the license action has expired with respect to the underlying conviction offense. License action may also be imposed for alcohol/drug test refusals pursuant to Michigan’s implied consent laws. As I state in various parts of this article and in our website, license action is mandatory and is imposed by the State of Michigan, not the court system. The court system is powerless to intervene or provide any relief when a person is suspended or revoked for a drinking or driving offense. However, the court does have the power to grant license restrictions for certain drug crimes involving possession or use when restrictions are otherwise allowed by statute. Sobriety court may also save a repeat DUI offender from a mandatory license revocation. An indefinite license revocation may be appealed after a minimum of one (1) year (or after 5 years for a second revocation) to the Driver Appeal and Assessment Division of the Michigan Department of State. Any tickets obtained during a period of revocation will result in an additional period of revocation of one (1) year or possibly more. Does not have any prior drunk driving history or may have a DUI offense from many years ago. Does not usually consume alcohol in excess. Was cooperative with the police. Is caught driving within a few miles from home, usually in the late evening hours. Has a good driving record. Was not involved in an accident. Legal intoxication means the amount of alcohol contained in one’s blood (reported as a percentage) that will constitute drunk driving (operating while intoxicated). Law enforcement officers use breath, blood or urine tests to measure a person’s blood alcohol content (BAC). 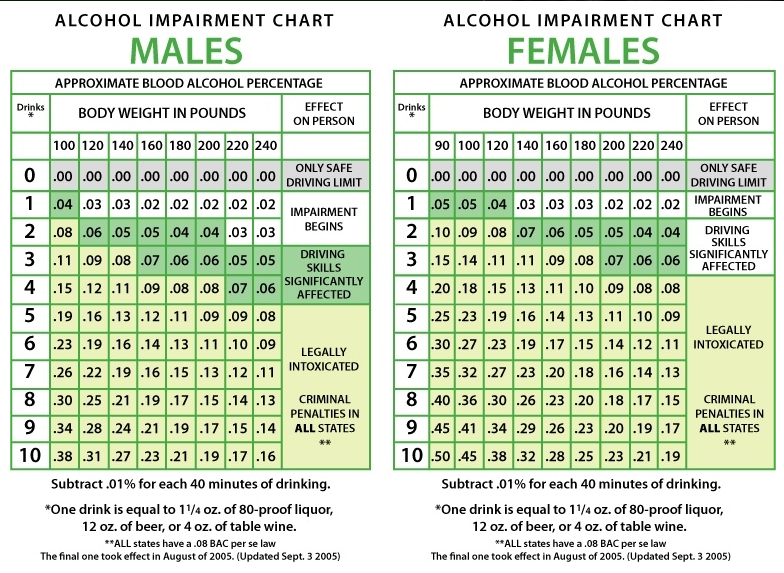 In Michigan, a BAC of .08% or more is considered legally intoxicated, regardless of actual intoxication. A search warrant for a blood test may be obtained when a chemical test is refused or under circumstances where the police are seeking a blood test for drugs or marijuana. If the Secretary of State finds that the refusal was not reasonable, the offender’s license will be suspended for a one (1) year period pursuant to Michigan’s implied consent laws. 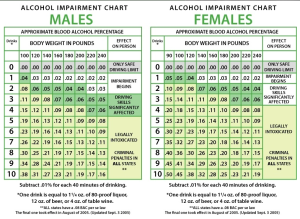 Drink/weight BAC index charts are a fairly reliable source of information on the subject of blood alcohol content. Once behind the wheel of a car after consuming alcoholic beverages, ignorance of the law is not a excuse and the law enforcement officials do not discriminate even for those individuals that have never been in trouble. What about driving under the influence of marijuana? Do police need a warrant to search my vehicle? Michigan is way behind when it comes to the issue of marijuana. The main issue is whether marijuana will be legalized for recreational use. The response to that issue will be reserved for another article. For this article, the question is whether someone can be charged with driving under the influence of marijuana. The answer to this question is YES. However, we are not seeing many cases whereby a person is charged with DUI-marijuana. Instead, our firm has been retained for several cases in the Macomb County District Courts where the police opt to charge an operator of a vehicle (usually a youthful offender), along with the occupants, with possession of marijuana and/or paraphernalia and not OWI-marijuana. I believe this to be the case because, unlike testing for alcohol (.08% = OWI), the State of Michigan lacks any standardized rules/testing for what constitutes being “under the influence” or impaired” by the consumption of marijuana. Another reason, in my opinion, is because police really do not like to make DUI arrests. A DUI arrest can keep a law enforcement officer off of the road for several hours. A DUI arrest entails compliance with several state laws as well as administrative rules in order to accomplish technical testing procedures, booking and incarceration of the offender and extensive document preparation (police report, temporary license, bond forms, etc.). Frequent possession of marijuana scenario, consent search: Search warrants are time consuming and there is rarely sufficient justification for the officer to obtain one after a routine traffic stop. However, a search warrant is not required when the police find something in plain view, obtain consent to search or make a search incident to an arrest. This brings us to the typical scenario: After pulling over a vehicle, or seeing one parked in a dark area, the police will confront the driver and occupant(s) and claim that they can smell marijuana. The police are skilled at getting information and can usually avoid the search warrant requirement by getting the occupants of the vehicle to surrender any marijuana or consent to a search. 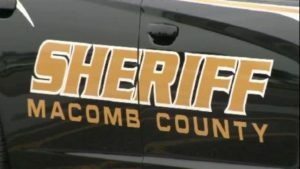 For the offender, getting charged with the drug crime of possession of marijuana or analogues is preferable to anything associated with a DUI and is usually resolved favorably in the Macomb County Courts with a dismissal under MCL 333.7411 or HYTA for youthful offenders (age 17 to 23). It is another story entirely, and felony charges are likely, under circumstances whereby the operator of a vehicle tests positive for THC or other drugs and is involved in an accident causing the injury or death of another person. In this scenario, the defense attorney would obtain the blood test results and determine whether the marijuana usage was recent and examine the THC nanogram levels. What can someone with a clean record expect? The blood alcohol content, high or low? If an individual is charged with first offense operating while intoxicated (OWI), plea bargaining down to an impaired driving may be the best option. For those charged with super drunk driving (.17% or more) or a repeat offense involving drinking and driving, a reduction to a lower drinking offense will take additional legal maneuvers and possibly a deviation request as I describe further on in this article. Our firm will also ask a person charged with a super drunk driving or a repeat offense to obtain a substance abuse evaluation which we will eventually utilize at various stages of the court process including pretrial conference, probation interview and sentencing. Ruling out any variables that grab the court’s attention, I can say that based upon our experience, first offenders are treated extremely fair in every Macomb County Court. Although I have listed several possible court sentencing sanctions in the prior paragraphs which represents the larger picture, our experience has been favorable to the extent that we can often avoid the harshest penalties. Again, the sanctions imposed by the State of Michigan (license sanctions, driver responsibility fees, points) are inescapable. Also, every court will invariably impose fines and court costs in the range of $800.00 to $1,500.00, depending upon the district court. Fines and costs in the 41-B District (Clinton Township) and 42-1 District (servicing Romeo, Washington Township) tend to be the highest while the 41-A District (with 2 locations servicing Shelby, Macomb, Utica and Sterling Heights) and the 42-2 District Court (servicing New Baltimore, Chesterfield Township) are on the lower side. In addition to fines and costs, a person with an otherwise clean record can expect some probation, an alcohol education/counseling program and possible random alcohol testing. Fighting for non-reporting probation, no testing, a limited counseling program (1 day class) and other leniency are realistic goals for individuals that qualify as isolated offenders and do not display a problem with alcohol. CPL rights: A person convicted of a drunk driving offense (either OWI or impaired driving) will lose CPL rights for 3 years. There are no exceptions to this rule. Canada inadmissibility: Based upon Canadian immigration laws, a person that has been convicted of driving while impaired by alcohol or drugs will probably be found criminally inadmissible to enter into Canada. Under certain circumstances, this harsh restriction may be overcome by showing of rehabilitation or obtaining a permit. Police response costs: In recent years, the costs incurred by the responding police agency are subject to collection for a person charged with a drinking and driving offense. I have seen these costs run anywhere from $300.00 to $600.00. Expungement: The process of expungement (setting aside a conviction) is controlled by rigid rules in Michigan. While we are able to get extremely serious crimes (drug dealing, felony assault, theft/embezzlement) expunged, traffiic and drunk driving cases are not eligible. Personally, I am critical of this absurd exception which is contained in the Michigan expungement statute. This exception is based in part to the fact that the drunk driving laws contain sentence enhancements for repeat lifetime offenses (lifetime DUI third = felony). Also, in my opinion, the insurance industry may have had some influence in this matter to keep tabs on drivers and adjust rates accordingly. Insurance costs: A person convicted of any drinking and driving offense will ultimately be hit with increased insurance premiums for several years after the conviction. These higher insurance costs are in addition to hefty fines/costs imposed by the legal system, driver responsibility fees, police response costs, substance abuse evaluation and court imposed programs. Some individuals will be labeled “high risk” or terminated by their own insurance company following a DUI and will need to hunt for a coverage elsewhere. Can a drunk driving case ever be completely dismissed? I am sure you are wondering whether a drunk driving can be completely dismissed. There are a couple of legal avenues that can be pursued which may result in a dismissal or reduction of a drunk driving. Getting a not guilty verdict at trial is one way. The second way is by preparing and filing a deviation request with the prosecutor’s office assigned to the case. Trial: Anyone accused of a crime has the right to a trial. In drunk driving cases, there may be a question regarding the legality of the traffic stop or whether the police officer followed protocol in administering the BAC test for breath, urine or blood. Trial services will cost more money with every experienced drunk driving firm. In addition, there is no guarantee that a person will win at trial. Only after evaluating a case will an attorney be able to render an opinion as to whether there are good grounds for trial and make recommendations accordingly. Deviation request: A second way to obtain a dismissal is by filing a deviation request with the prosecutor’s office. A deviation request is a formal request with supportive material to seek a favorable outcome when the policy of the prosecutor otherwise is against any plea bargain. Our firm utilizes deviation requests in our criminal and drunk driving cases when a client has several positive factors and we feel that the prosecutor will consider a compassionate outcome. In addition to the prosecutor, the arresting officer’s consent is typically needed before a deviation request may be granted. For this reason, one of our first questions at an initial consultation for a drunk driving case is whether the client cooperated with the police. In our experience, when a deviation request is granted, the drinking and driving charge is reduced to careless driving (a non-criminal offense) and probation conditions may also be imposed by the court. Again, like trials, there is an additional expense to prepare and file a deviation request with no guarantee as to the outcome. With the exception of felony drinking and driving cases, all misdemeanor drunk driving cases are handled to completion in the district courts. Felony drunk driving offenses (DUI third offense, DUI involving injury or death) are ultimately resolved in the higher court (Macomb County Circuit Court). In limited circumstances, a Macomb County DUI third offense/felony can be negotiated downward to misdemeanor in the district court.